Every two weeks I present a theme from A Course in Miracles on EFT Radio in which I try to connect the spiritual principles offered in ACIM with the healing received from the practice of EFT. Beginning with the January, 2014, programs, the topics took guidance from the Lessons of ACIM in chronological order. But starting with program on July 3, 2015, I started taking guidance from Text Book of ACIM. In addition, the radio shows started to be offered in Spanish too. They alternate first in English, and then Spanish. I welcome your questions or feedback: contact me. Do you know what/who you are with certainty? What is the Source of your creation? Why is there so much conflict and confusion around answering these questions of identity and creation? When we try to use perception, which is based on judgment and interpretation, to answer these questions, we cannot know anything with certainty. Today with Eloisa Ramos we want to open our mind to the truth of our identity and creation when we ask: Who or what is the authority and author of our Life? Is reality created by thinking and believing it is the way I wish it to be? Is the self image the true Self? ¿Somos los autores de la realidad y de la vida? ¿Nos creamos a nosotros mismos? ¿Te conoces con certeza? ¿Cuál es la fuente de tu creación? ¿Por qué hay tanto conflicto y confusión en tratar de contestar estas preguntas sobre nuestra identidad y creación? Cuando intentamos utilizar la percepción, con el uso del juicio y la interpretación ,no es posible contestar estas preguntas con certeza. Hoy con Eloisa Ramos deseamos abrir nuestra mente a la verdad de nuestra identidad y creación cuando preguntamos: ¿Quién o cuál es la autoridad y el autor de nuestra vida? ¿La realidad será creada con nuestras ilusiones y creencias de cómo deseamos que sea? ¿Es la imagen de uno mismo el Ser divino y verdadero? What is Self-esteem? Why Do We Need to Build Self-worth? What is self-esteem and why does it lack constancy and certainty? Why can self-esteem and self-worth be lost? If we need to build self-worth what is the construction material we use? 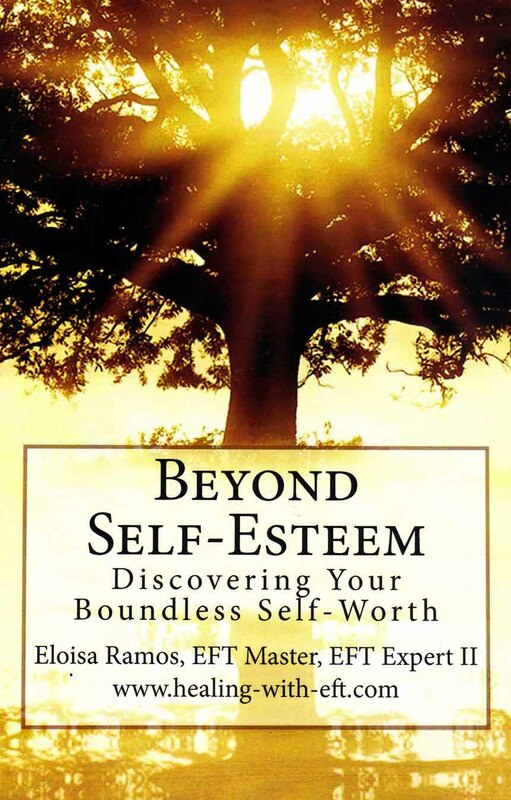 Today with Eloisa Ramos we explore how we are defining and interpreting self-esteem and self-worth such that they can fluctuate and be destroyed and then built up again. More importantly, we want to understand and decide what we want to believe establishes our self-worth and value. We will explore why our value and worth is beyond self-steem and how we can connect with the truth of our inherent and perfect worth.